If you want to showcase your work in a prominent way and wants everyone’s attention at a glance, then you need high-quality graphics to make your content magnificent. It is not so difficult to create an outstanding graphic design as there are many software available that take care of everything. However, all users don’t have too much money to buy those expensive software that’s why many people seek for the free alternatives. A perfect graphic design software needs to have powerful tools and feature that are capable of doing all the hard work and produce output as an excellent piece of work. Here in this article, we have rounded up some popular and effective graphic design software that have been used by thousands of people globally and are appreciated till now for their working capabilities as well. So, without further adieu, please have a look at some of the best free graphic design software that you can use on your Windows or Mac OS X system without any worries. If you are looking for a 3D creation suite, but can’t afford to buy because of heavy price, then blender is a perfect option for you. It is a free, open-source application which supports 3D modeling, animation and rigging, compositing, simulation, CPU and GPU rendering, VR rendering etc. The software also sports 3D motion tracking, game creation, and video editing. Blender is a popular tool which is being used by many artists, developers professional across the globe. Blender works fine with Mac, Windows, and Linux. Sculptris is a powerful 3D modeling application developed by Pixologic. The software is packed with easy to learn features like Dynamic Tessellation and GoZ and can be used by beginners as well as masters. The base models created using those features can be refined with other applications such as ZBrush. The software boasts an immersive interface and the more you become skilled, you get to know more about the working capabilities. The software offers two navigation methods. The software is compatible with both Mac and Windows. It is another robust and professional vector graphics editor which is suitable for illustrators, designers, and web designers. Although SVG is the primary file format yet it provides wide file format compatibility. There are multiple features that are hard to find in other suits such as markers, clone objects, and alpha blending. The tool provides full support to various color modes which make it preferable for web and print designing as an alternative of illustrator. The software is available for Windows and Linux, but if you are technically sound, then you can use it on Mac as well. Daz Studio is a 3D morphing, animation, posing and rendering tool that lets users create incredible illustrations. It includes various useful features such as virtual props, accessories, animals, environments, and vehicles to create ultimate animations. You can easily produce graphic designs, create virtual environments, custom 2D avatars and do much more. The suit provides real time rendering accelerated by GPU and produces photo realistic results. There are interactive tutorials which can help a beginner to become a proficient 3D artist effortlessly. The software is available for both Mac and Windows. GIMP stands for GNU image manipulation program and is an open source free graphic designing software/image editor. It was initially launched for Unix based programs and now is available for Mac, Linux, and Windows. If you have used Photoshop for a long time, then using this software would be quite easy for you. There are plenty of tools available for color correction, cloning, painting etc. and enhance your working capabilities. You can work with all famous file formats without any hassle. It also packs multiple customization options, an in-built file manager, and many third party plugins. Sumo Paint is a creative online image editor which works in the browser and requires Adobe Flash Player to function. It is light, loads faster and works fine with the latest versions of Windows OS. When you try to download the web version of Sumo Paint, it asks for an upgrade to the Pro version which eventually unlocks all the features of this software and increases the working capabilities. However, the free tool also includes plenty of features text. shapes, brushes etc. can be accessed quickly from the floating toolbar. The software also has the ability to open saved documents on the hard drive. It is a multi-dimensional vector graphics editor which is suitable for creating specific designs, technical drawing, animations etc. You can create incredible web buttons and Flash banners with rollover graphics to grab the attention of viewers. There are plenty of decorative effects such as pastel, watercolor, charcoal Photo-quality spray brushes and other real-looking brushes. There are many modes and styles that let you achieve color consistency with ease and makes your designs unique. There are many tools available to create perfect drawings as well. You can enhance the image quality and apply accurate cutouts of pictures using PhotoLab, Cutout, and AutoTrace studios. The software is available for the latest versions of Windows OS. Paint.net is a perfect alternative of Microsoft Paint and works fine with the latest version of Windows OS. It is a powerful, free and easy to use graphic design software too. It seems that the developers have focused on photo editing more rather than artistic creations. Though, there are special effects that help you to create your own designs in a sophisticated manner. Paint.net flaunts a wide range of tools and includes many useful features that allow users to make designs and edit existing files with ease. It is a web-based tool which is free to download and offers tons of free templates to start your project. You can access the library to find the format suitable for you and also customize the theme using fonts, styles, colors etc to create infographics. Improving graphics are very easy and you can do that with a single click. The software is highly suitable to create infographics in a real short time as it just wants you to choose a theme, objects, shapes and add some text to make it ready. Vectr is another web based and Desktop based graphic editing software. It is available for the all popular platform as Mac, Windows, Linux, Chromebook. 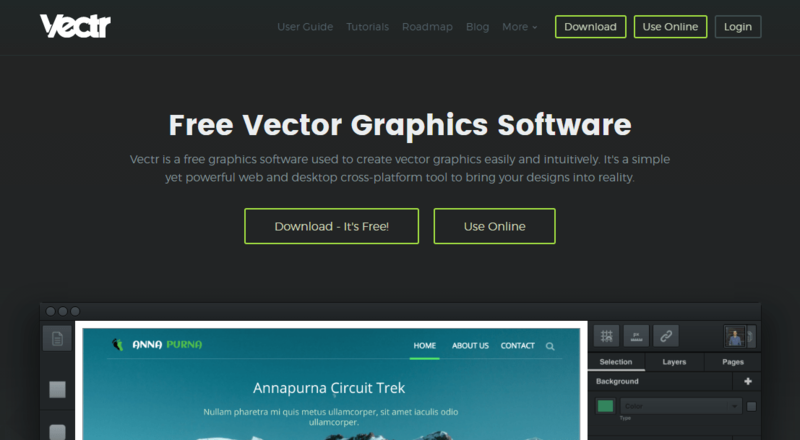 Vectr is a free graphic editor for creating the 2D vector designs. The interface of this software is very simple and impressive. Unlike raster graphics, vector graphics are always crisp and clean. Create blur-free logos, presentations, cards, brochures, website mockups, or any 2D graphic with Vectr. The Vectr full fill all the property of the Vector design. One can easily share its work online by someone else, you just have to copy the URL and share it with other. So they can also see your work. Krita is a FREE and open source painting tool designed for concept artists, illustrators, and the VFX industry. The software has been in development for over 10 years and has had an explosion in growth recently. It offers many common and innovative features to help in the editing as professional. Krita is available for the all popular platform like Windows, Mac, and Linux. Krita has a lot of features like Brush Stabilizers, Pop-up Palette, Drawing Assistants, and Mirroring Tools. There are more tools which Krita is offering to the user to editing. If you facing any problem regarding tool then they are providing the tutorial so you can easily understand the software how it is work. Vizulalize is the best online editing platform for artists, illustrators. Apart from Vizulalize didn’t offer a lot of features for editing but still it is a nice platform. You can visualize your design in one click and also take a look at previous examples. 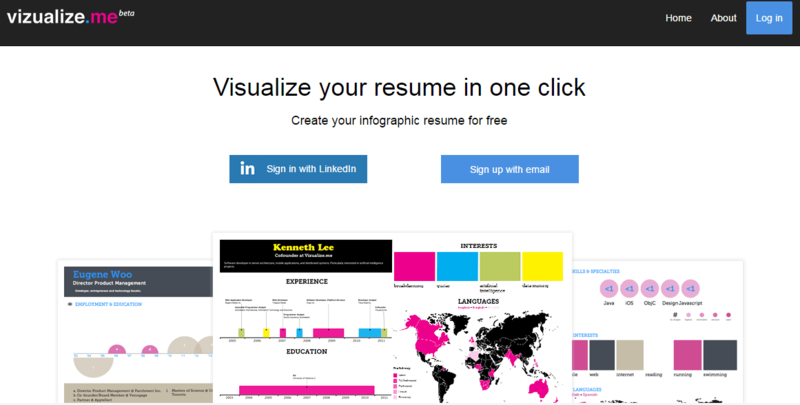 Vizualize is the first choice for the graphic resume makers. Pixlr Pixlr is the multiplatform graphic editor in free. Pixlr is available for all the platform you know and not only this there is a web based application also. Pixlr also available for the smartphones, so if you want to do editing on your phone then also enables that. There is no doubt in that Pixlr has the open world for the design and it all in free for you. You don’t have to subscribe any plan or anything for that. SketchUp is not a free tool for the graphic editing you have to buy this software for your work. According to the Graphic editing software, this software offers a great help in that. SketchUp also has a lot of video tutorial for understanding the tools of this software. The software generally works best for the architect work. Moreover this it gives you a great experience of building design, office, and home. These above mentioned graphic design software can reduce your burden and help you to create ultimate graphic designs very quickly without any complication. These best free graphic design software are developed by highly skilled developers and offer great functionality which eventually reflects in the end result. Hopefully, you might have found the one that you are looking for after going through the list. Feel free to provide us your feedback and do share your experience about this software with us.